Special Correspondent● London: The city is going to experience a slice of Kolkata with the maiden Kolkata Festival to be held at the city’s Logan Hall, UCL, on 4 October. The expatriate Bengalis of the city are eagerly waiting to get a glimpse of the home away from home before the Durga puja this year. Singers Rupankar Bagchi, Paroma Banerji, Sahana Bajpaie and Lagnajita Chakraborty will perform live. The festival will also host the UK premiere of Choukaath, a feature film by Raja Dasgupta. There will be a special screening of Sambit Banerjee’s short film Ryan & I. No Bengali festival ends without petpujo (food fiesta). 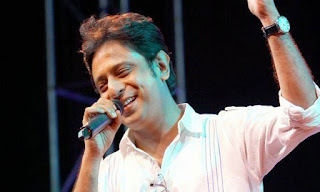 The hosts of the Kolkata Festival, too, have arranged a street food carnival at the end of the programme. It will mainly feature various mouth watering street foods of Kolkata. India now in association with Radio Bangla Net is hosting the festival. It is supported by Kusum Foundation.